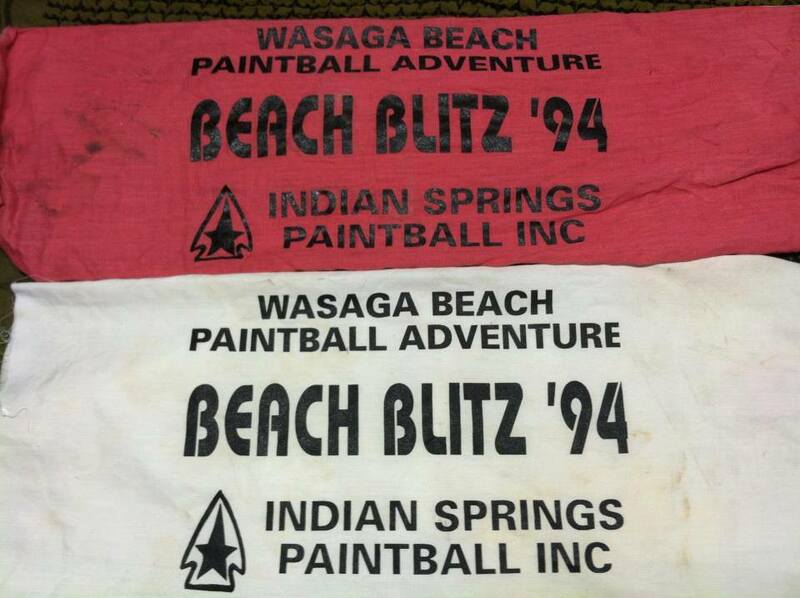 Here is a batch of photos from the Wasaga Beach Paintball Adventure “Beach Blitz ’94” tournament. 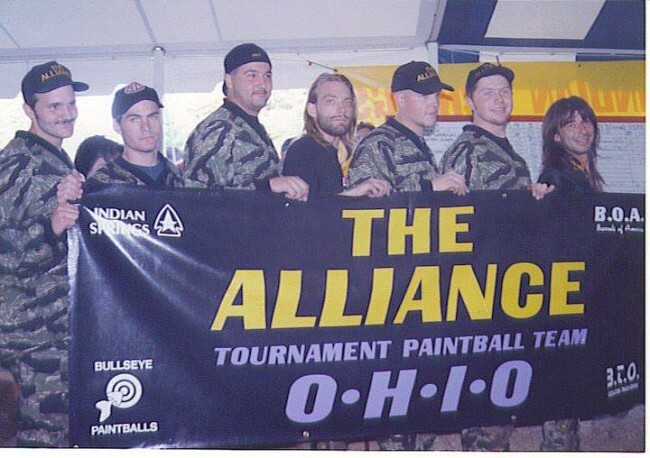 These photos were sent by Jason Ott of The Alliance and Keith Collins of the California Bushmasters, both players participated in this event. 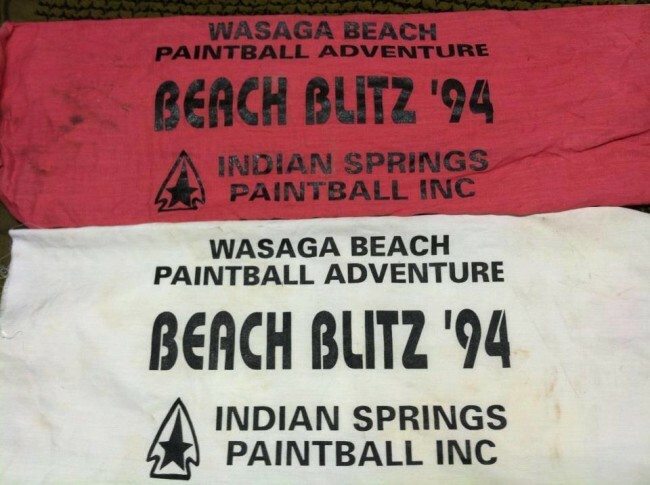 Two flags from the Wasaga Beach Paintball Adventure Beach Blitz ’94. Below are California Bushmaster photos that Keith Collins of the Bushmasters sent me. Left to right: Ref, Gilbert Martinez, Keith Collins, Tommy Russell(Correct me if I’m wrong on this one guys). 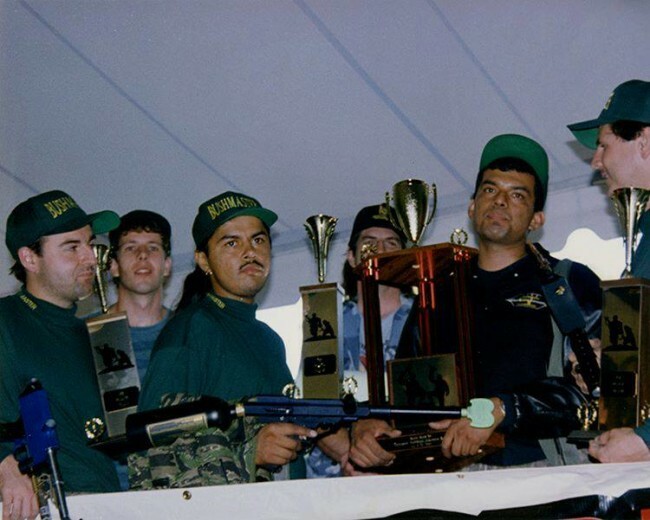 The California Bushmasters with their first place trophies at Wasaga Beach. 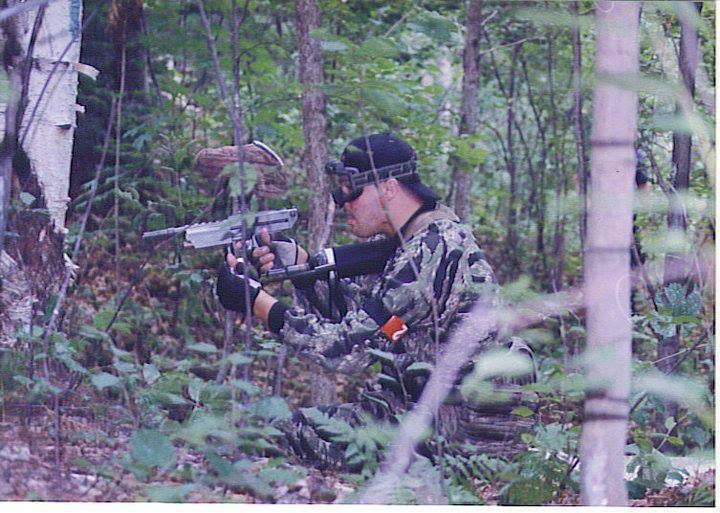 Can someone tell me why Robert is shooting a Z-1? Keith Collins, field owner Steve behind him, Robert Calderone, ? behind, Gilbert Martinez, Tommy Russell. The California Bushmasters standing in front of the score board at the 1994 Wasaga Beach Tournament. 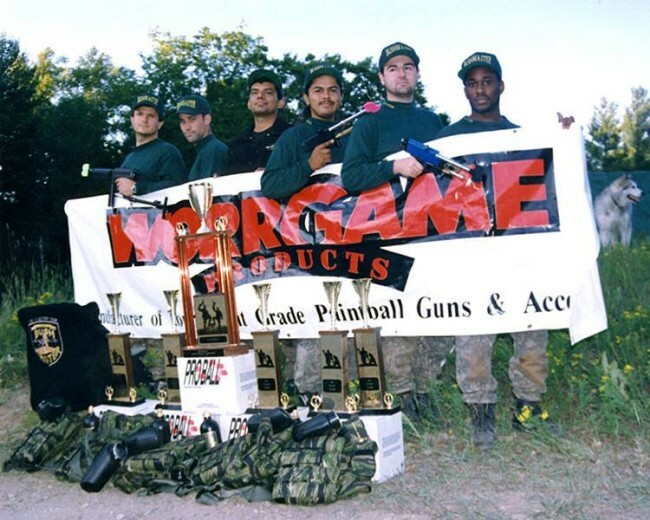 “L to R: Keith Collins, Tommy Russell, Bill Ward, Tracy Thomas, Gilbert Martinez, Robert Calderone. The field owner (Steve?) and his wife? are in the middle.” Photo courtesy Keith Collins. 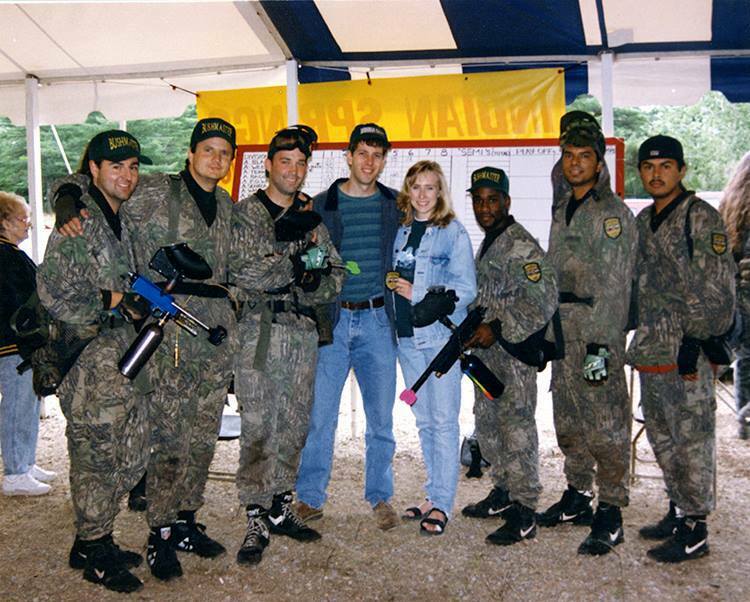 Below are photos of The Alliance at Wagaga Beach Blitz ’94. Team Alliance at the Wasaga Beach Paintball Adventure, Beach Blitz ’94. 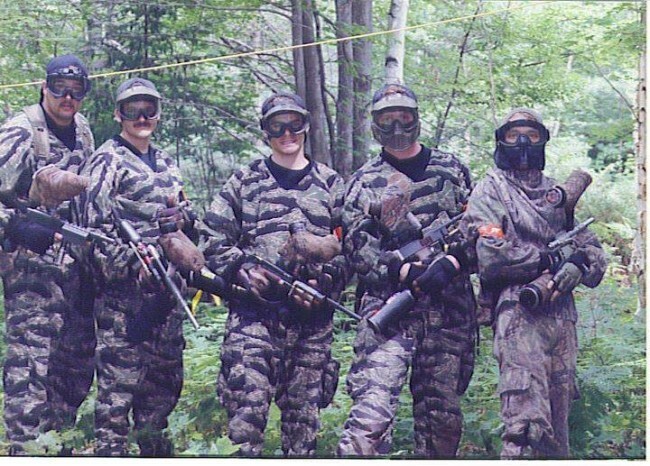 Jason Ott, Brian Davis, Jason Lanzer, ?, ?, Ed Whalen (?), ? Jason Lanzer, Jason Ott, Brian Davis, Ed Whalen , Jason Prekopa. Mark Limric, John “Bummer” Markusic and Brian Lesher. Here is another picture provided by Jason Ott. 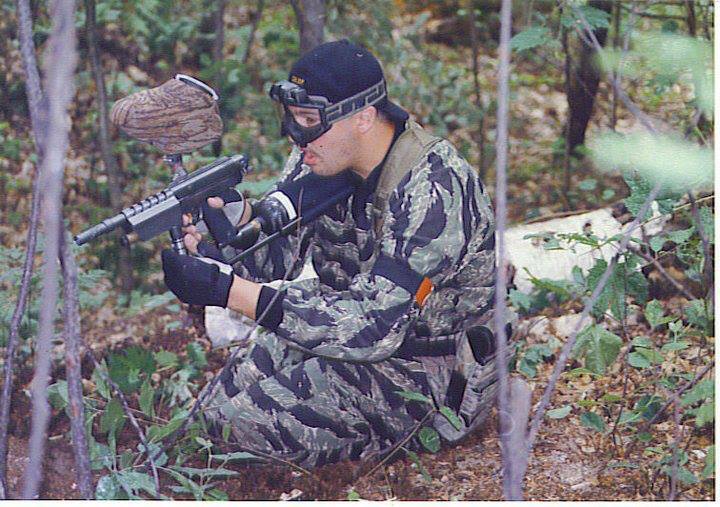 The photo above of Jason’s teammate on The Alliance, Brian Davis,at Wasaga Beach ’94, is probably the only photo I’ve seen of a player using a LAPCO AutoSpirit. Davis is playing with a Lapco AutoSpirit semi auto, which was owned by various members of Alliance at times. 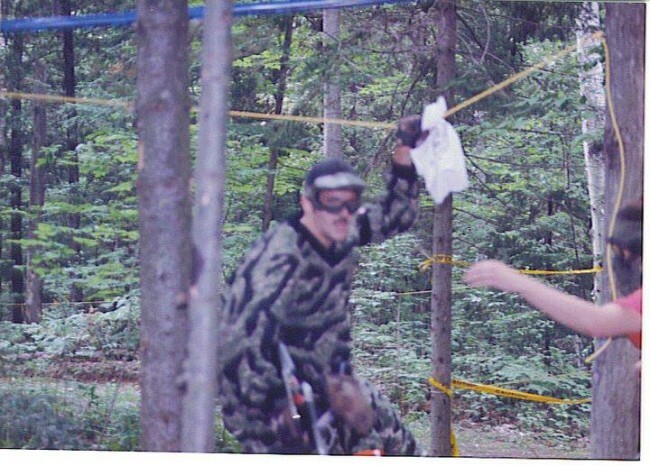 Jason Ott pulling one of the two flags seen in the next picture at Beach Blitz ’94. Jason Lanzer with an early grey WGP Minicocker. At Beach Blitz ’94. Another photo of Jason Lanzer with an early grey WGP Minicocker. 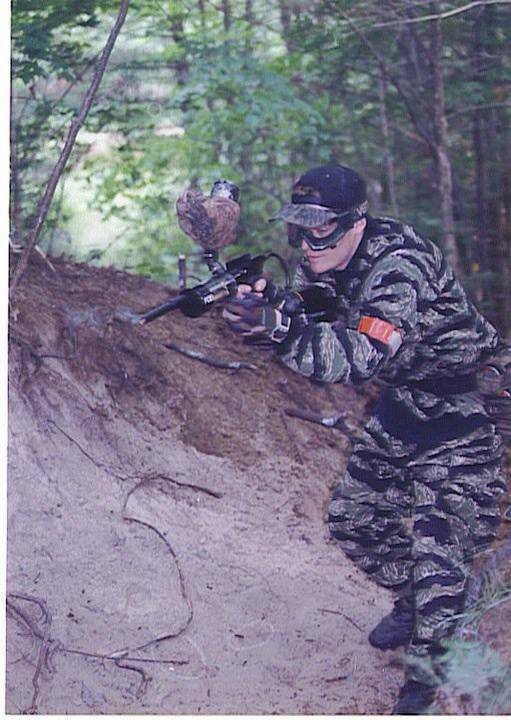 At Beach Blitz ’94. 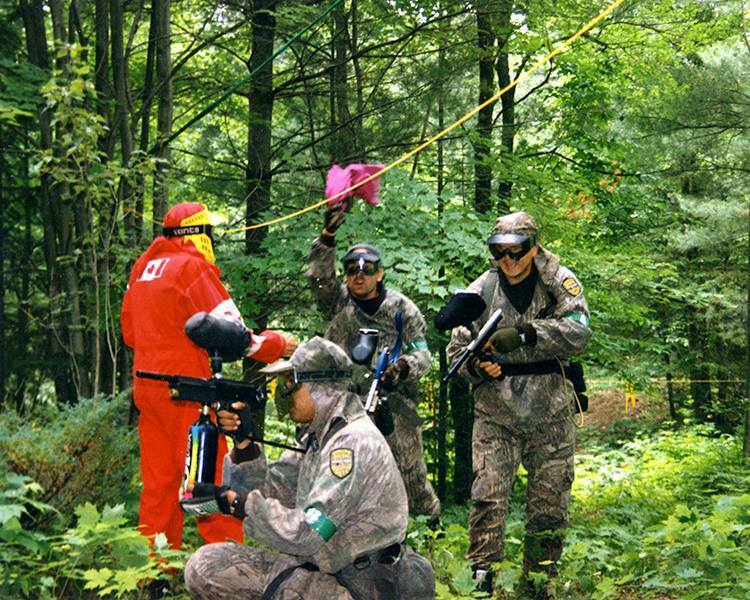 This was a fun event. It was my first finals appearance in competitive paintball. I have many fond memories of my time with The Alliance. I have more to add to this article specifically, but I also have lots more to add to you site that I think you would be interested in. Please contact me at your earliest convenience. I think your site is great and would love to contribute! Thanks, Ed Whalen, formerly of The Alliance and OBR (Ohio Black Reign).